Department of Veterinary Medicine is one of the six major departments since the establishment of the College of Veterinary and Animal Sciences in July 1986. The name was re-designated, later on, as the Department of Veterinary Clinical Medicine, Ethics and Jurisprudence. 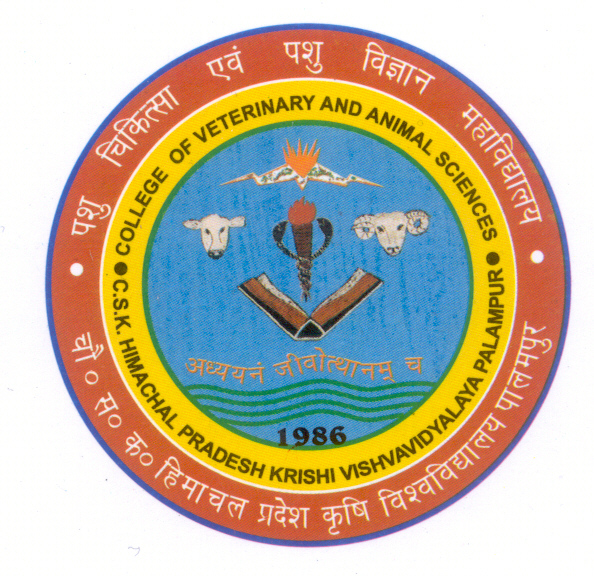 Presently, name of the department has again changed to Department of Veterinary Medicine, as per directions of Veterinary Council of India and is engaged in teaching, research and extension activities pertaining to Clinical as well as Preventive Medicine. The department also offers higher education in the field of Veterinary Medicine. M.V.Sc. degree was started in the department from the year 1992-93 while Ph.D started from the year 2004-05. Annually, faculty of this department takes care of around 50% of all the cases (OPD/IPD/Emergencies) registered in the College clinics. Faculty / experts from the department provide quality treatment to the patients throughout year. Moreover, they also provide services to the farmers of the state at camps and through consultancies.